Russell Blakely read law at Oxford University. He qualified as a solicitor at Wilson Solicitors LLP in 1999. Russell became a partner in 2010. He specialises in complex Immigration litigation. Russell served on the Law Society’s Immigration Law Committee between 2010 and 2013. 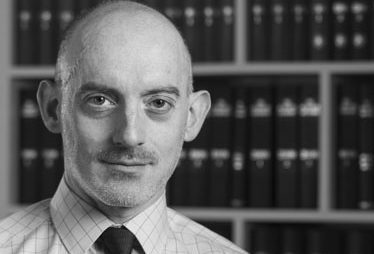 Russell has been recommended by Chambers UK Guide to the Legal Profession “because he is very bright and committed” and “for the thoroughness of his submissions.” He is notably described as “one of the most important experts in matters relating to immigration detention in the fast track context” (2012). “He is a hugely experienced immigration practitioner, and is particularly noted for his work on complex gender preference cases” (2014). “An absolutely superb practitioner who is very knowledgeable on the details and committed to the field. He specialises in complex litigation” (2015). HJ (Iran) and HT (Cameroon) v Secretary of State for the Home Department  UKSC 31.